Giving back is an important part of OnTarget’s business philosophy. We, as a team, recognize we are part of a community, and our desire is to make our community a better place by volunteering each quarter. 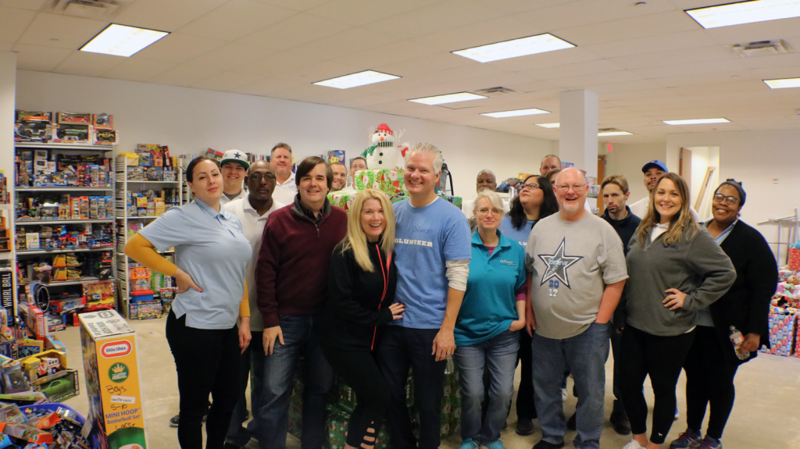 This year, and at this special time of year, we spent some time with Frisco Family Services, where we sorted, organized, and stacked presents for the less fortunate. Frisco Family Services exists to help members of our communities who are facing hunger, homelessness and other urgent needs improve their quality of life and achieve self-sufficiency. OnTarget is proud to partner with such an incredible organization, and humbled to be included in such an important mission. Merry Christmas, happy holidays, and all my best for an amazing 2019! 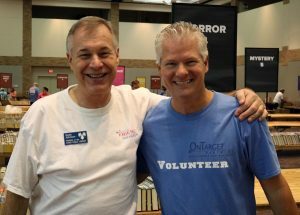 OnTarget Partners believes in giving back. One of our core values is “doing well, and doing good”. As our business performs, and our owners and employees prosper, we want to give back to our local community. About five years ago, we started volunteering for the Friends of the Plano Public Library book sale. Last year, the five Plano libraries checked out over 4.7 million items, had in excess of 1.5 million visits, and welcomed more than 140,000 people to free programs. In the last decade, Friends have gifted almost $1 million to enhance the libraries with special programs and educational entertainment, eBooks and EMagazines, science kits, ESL and world language materials, and thousands of books. 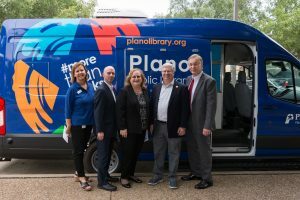 Recently, the Friends purchased a new outreach van, #morethanbooks, which increases library visibility to non-users and to underserved communities across Plano. OnTarget is proud to partner with such a great organization and with such great people! OnTarget Partners is proud to have been named one of the best places to work in DFW in 2016! In November, 2016, The Dallas Morning News published The Top 100 — their list of the Top 100 Places to Work in DFW for 2016. Each spring, The News solicits nominations for the Top 100 Places to Work competition. Anyone can nominate a company — a worker, the CEO, even someone outside the company. Each firm must have at least 50 local employees to enter. OnTarget finished in ninth place in the small company category. This year, WorkplaceDynamics (the research firm commissioned to conduct the surveys) analyzed the answers from 90,898 employees at Dallas-Fort Worth companies to determine the Top 100 and the rankings. 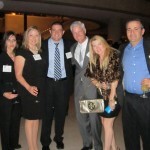 WorkplaceDynamics, has surveyed 13.2 million employees in the last decade to compile lists of top places to work. The firm has conducted surveys over the last year for 42 major newspapers in addition to The News, including The Washington Post, Chicago Tribune and Boston Globe. OnTarget consists of B2B marketing, research and sales experts, supporting clients with lead generation & management services, digital marketing and CRM/Marketing Automation. According to The News, employees want to follow respectful leaders with vision and high moral compasses. They want to work in a fun and nurturing environment where promotions are based on merit. They want to enjoy life away from work. They expect clued-in leadership and leadership that clues them in. Pay and benefits are consistently at the bottom of their priority lists. The News also says the standard for excellence rises every year as the competition intensifies for top talent. Twenty-six of the winners are newbies — including 15 of the 35 listed in our small company category. Only four of our 100 have made the list in all eight contests. That means this contest is making Dallas-Fort Worth workplaces more viable and peaceable. You can find more information about our ranking here. 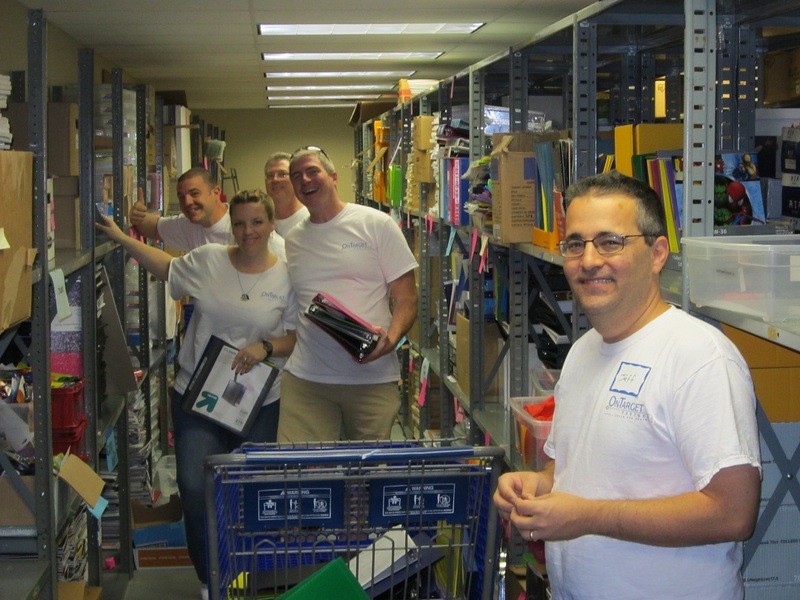 On August 7, 2015 Frisco, TX based OnTarget Partners volunteered at the Friends of the Plano Public Library’s Annual Book Sale. 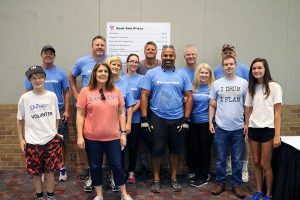 The Friends of the Plano Public Library is an organization dedicated to supporting the five libraries that make up the Plano Public Library System. They do so by hosting events (such as their Annual Book Sale), accepting donations, and applying their resources to enhancing the libraries and supporting the community. 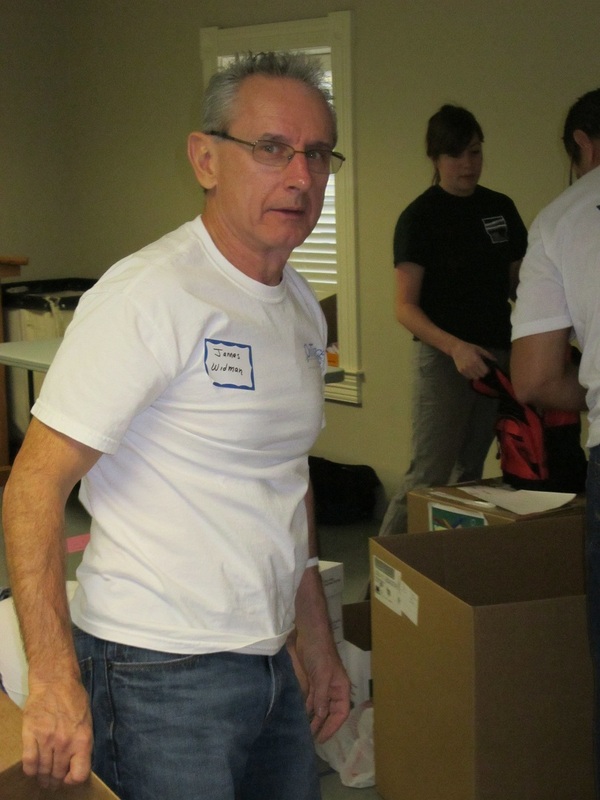 Every Quarter, OnTarget participates in a volunteer event in the DFW community. 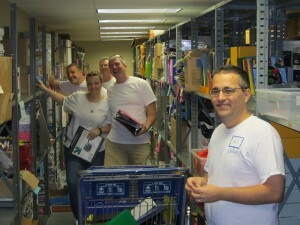 This is the third straight year in which OnTarget has participated in the Annual Book Sale Hosted by The Friends. Have a great volunteer opportunity for us? Drop us a note at info@ontargetpartners.com and let us know! 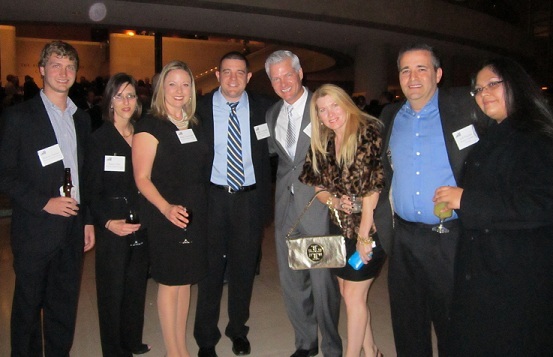 OnTarget Partners, as an operating company under Business Solutions Group, LLC holdings company, was honored during the Dallas 100 Event at the Morton Meyerson Symphony Center on November 16, 2011, which announced the 100 fastest growing private businesses in North Texas. As you can see from these pictures, we had an enjoyable time celebrating and networking with other ‘movers and shakers’ in DFW. 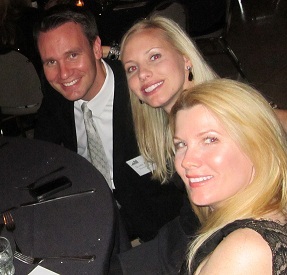 OnTarget Partners had a great time supporting the Charity Community Partners of Dallas recently. 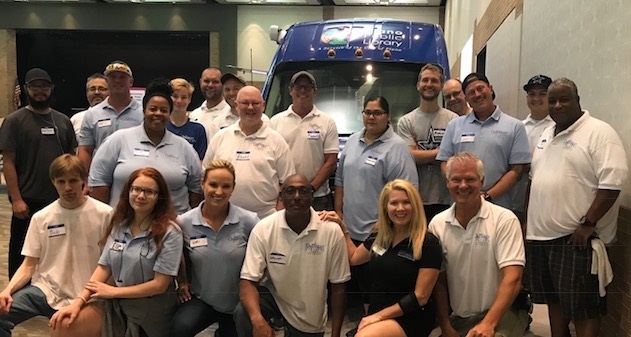 As a result of its broad-based community support, Community Partners of Dallas was named the Outstanding Volunteer Organization of the Year by the Volunteer Center in Dallas. In addition, Governors Bush and Richards appointed two of our founding members to the Board of Texas Department of Protective and Regulatory Services. Community Partners of Dallas’ programs have been replicated across the state, and Rainbow Rooms and Adopt-A-Caseworker programs currently exist in more than 135 cities in Texas. For more detail on the children we serve please download our 2010 Fact Sheet. For more information on how you can help us help the abused and neglected children in Dallas County, please contact us directly at (214) 624-7557, or follow Community Partners of Dallas on Facebook and Twitter! Thanks, James, for a job well done! Our second sponsored event is one near and dear to our hearts. It is called Kenna’s Cup. Kenna is a little girl born with a form of craniosynostosis where the metopic suture running from her soft spot down to her nose was abnormally fused shut. Her condition, however, was not immediately recognized at birth. Her parents were assured this condition was not a major issue and would fix itself in a two year timeframe. Many visits to many doctors and her parents’ instinct were unfortunately correct; Kenna had a serious skull deformity. Kenna will endure numerous surgeries and treatments to ensure her brain has room to grow in her skull throughout her lifetime. Kenna’s Kids is a foundation that provides funding for the hundreds of thousands of dollars incurred when a family has a child with a serious illness. Check out the website and read the heart wrenching stories of all of Kenna’s Kids. Kenna’s Cup is one of their biggest fundraisers and since a fun day of golf and food and drink is provided a great win-win for everyone who participates. OnTarget Partners will be a sponsor of this benevolent event this year, and we are very proud to say we are involved with Kenna’s Kids. Join us in helping these kids and their families and play a round or two of golf while you are doing so. Our first event is scheduled for May 4th, 2011. OnTarget Partners will be joining Texas Trees to assist in their goals to “green up” Texas. We are so happy to join forces with Texas Trees – the largest forestry organization the United States. We are pleased to support their efforts in planting three million trees in North Texas in the next ten years. This effort will contribute to the replacing the balance of clean air and natural forestry in the area. We have partnered our efforts with other organizations through the Entrepreneurial Foundation of North Texas and together we will combine the efforts of our companies to expedite the tree planting at Richland College 12800 Abrams Road, Dallas Tx. This event will run from 9am to 12 noon and the entire company will be pitching in! Learn more about this event at: Texas Trees Foundation or Entrepreneurs for North Texas. The company will enjoy lunch afterward before heading back to the office for the afternoon. Stay tuned for pictures! Working at a company that promotes VTO (Volunteer Time Off) is a real honor. It is a very rewarding experience to be a component of such a good corporate citizen while helping our environment.